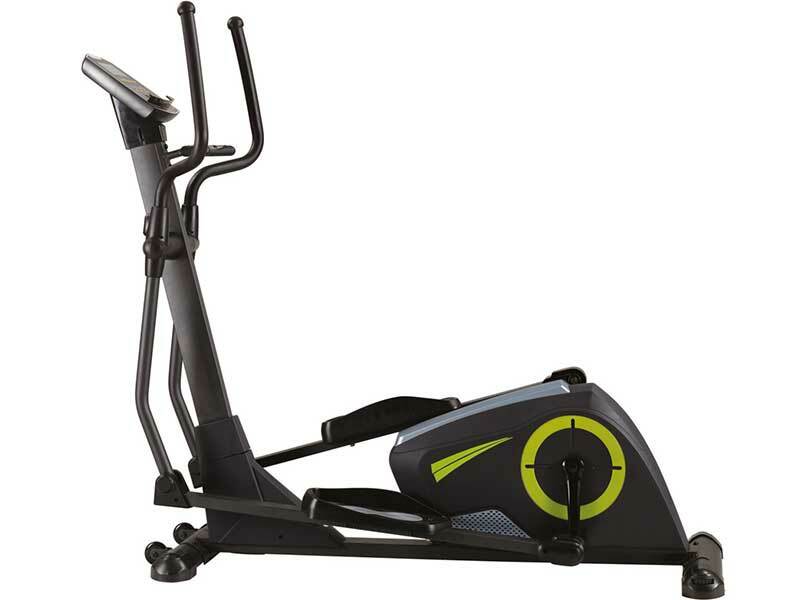 Adding versatility to your home workout routine is easier than ever. 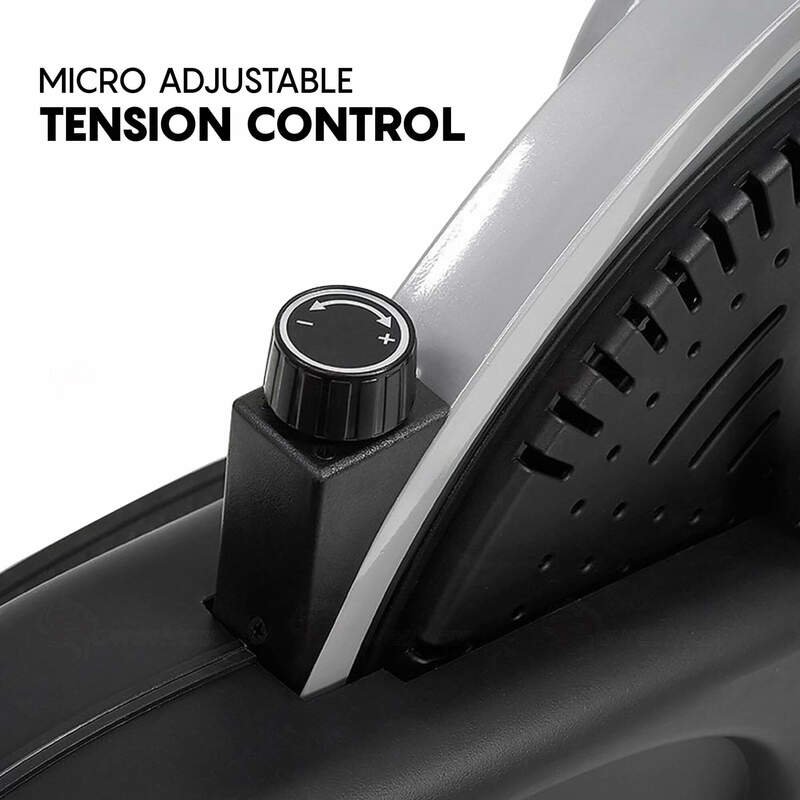 Simply adjust the position of your body to transition between different machine modes. 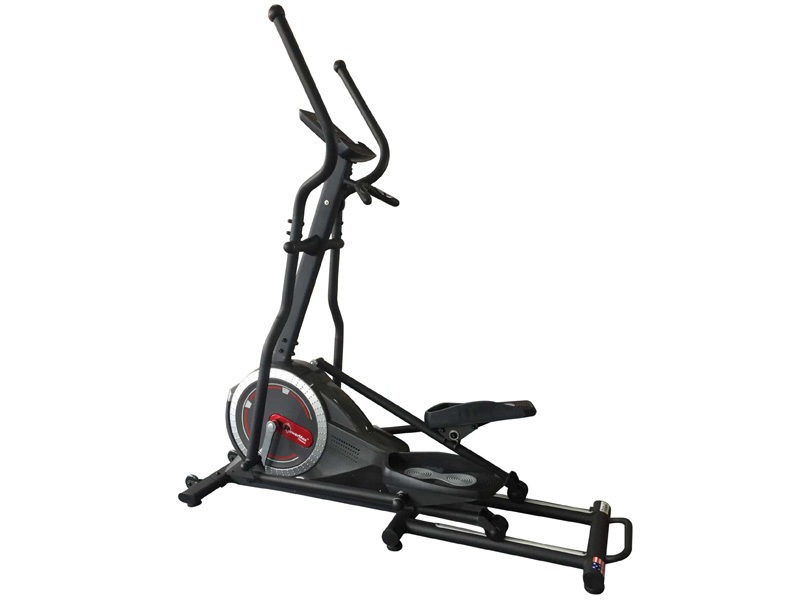 Save space and get a killer workout with the EH-220 3 in 1 Elliptical Cross Trainer. 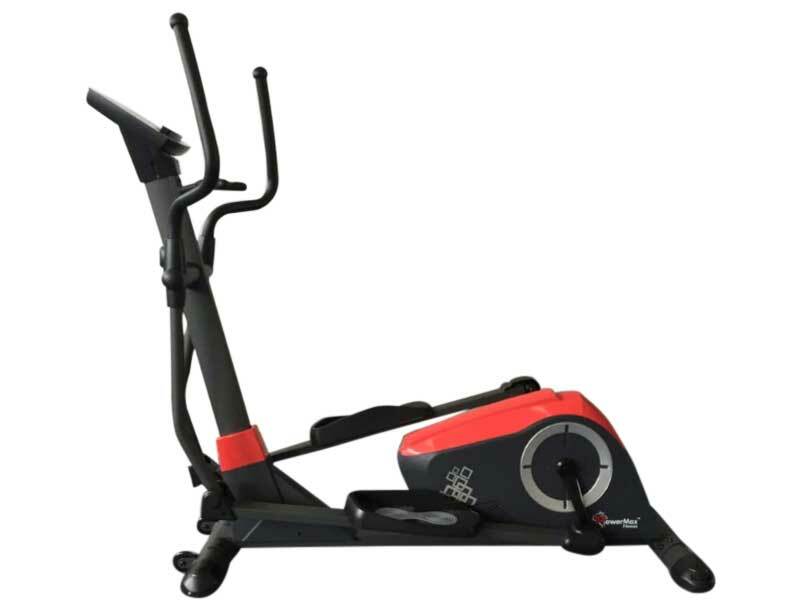 This effective, compact, and easy to use workout machine combines three of the best cardio equipment you find at a gym or fitness studio. 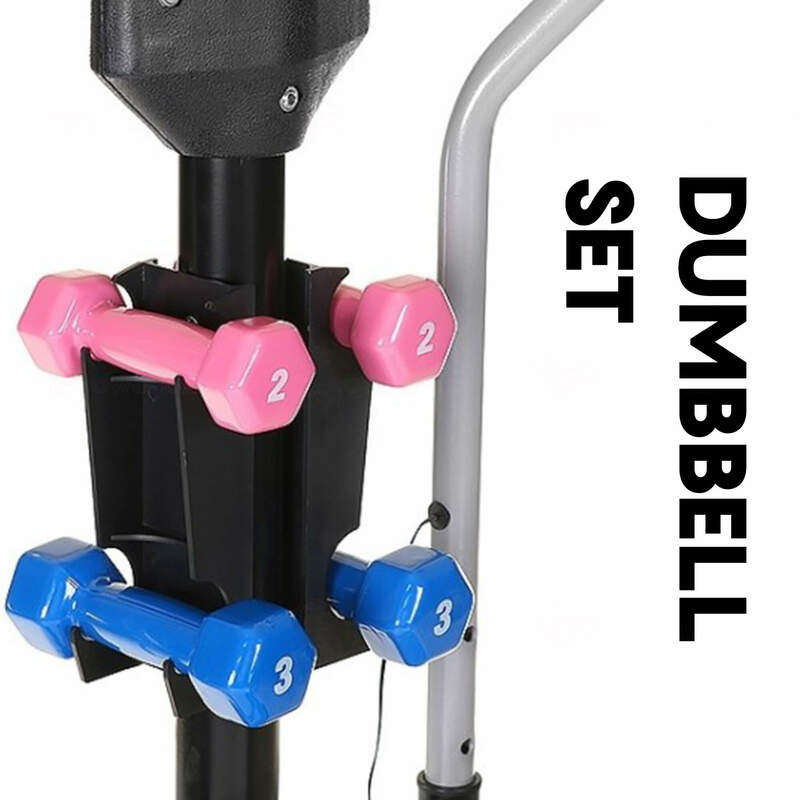 Adding versatility to your home workout routine is easier than ever. 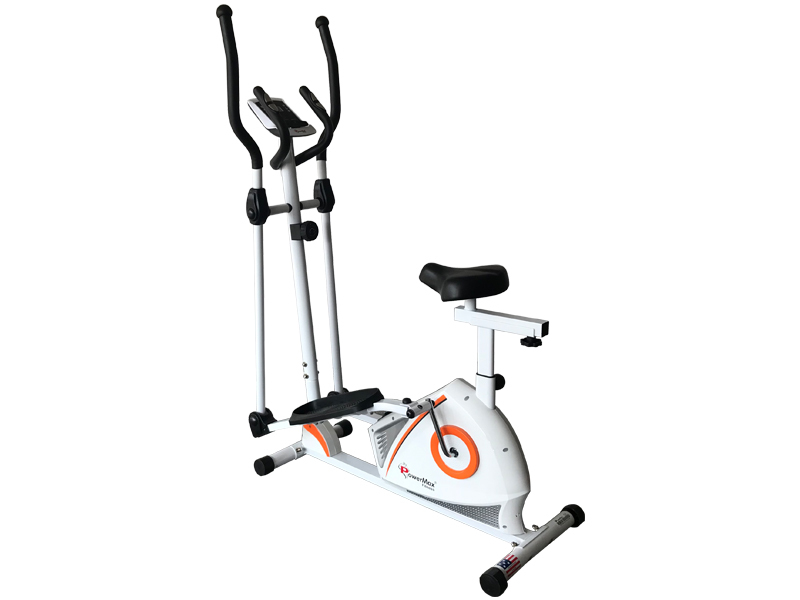 Simply adjust the position of your body to transition between different machine modes. 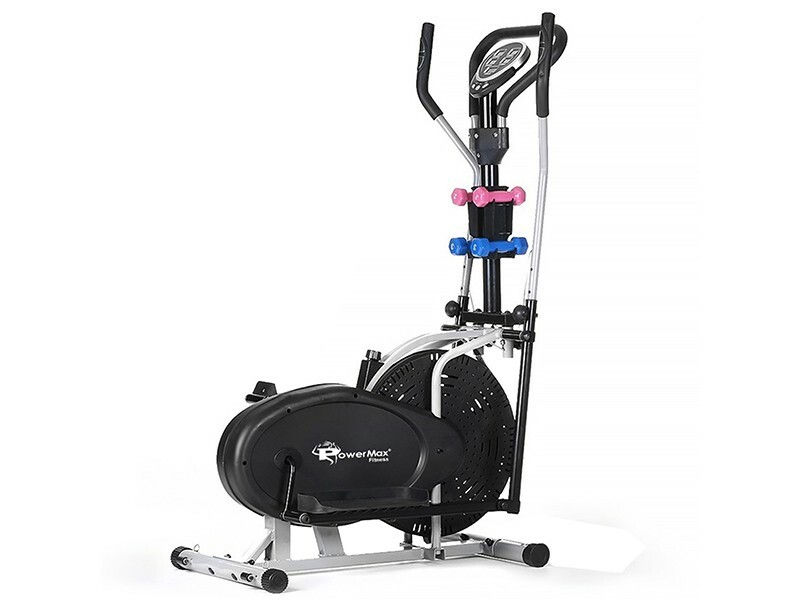 Save space and get a killer workout with the EH-220 3 in 1 Elliptical Cross Trainer. 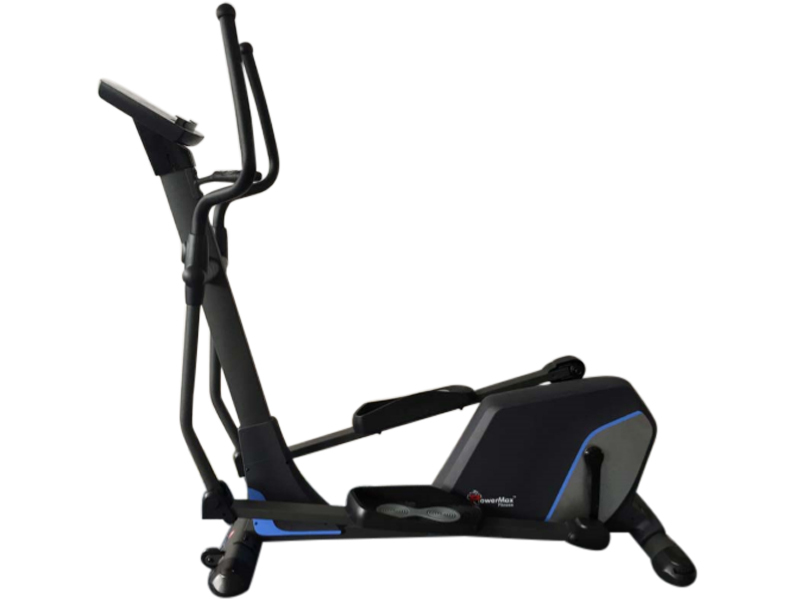 This effective, compact, and easy to use workout machine combines three of the best cardio equipment you find at a gym or fitness studio. 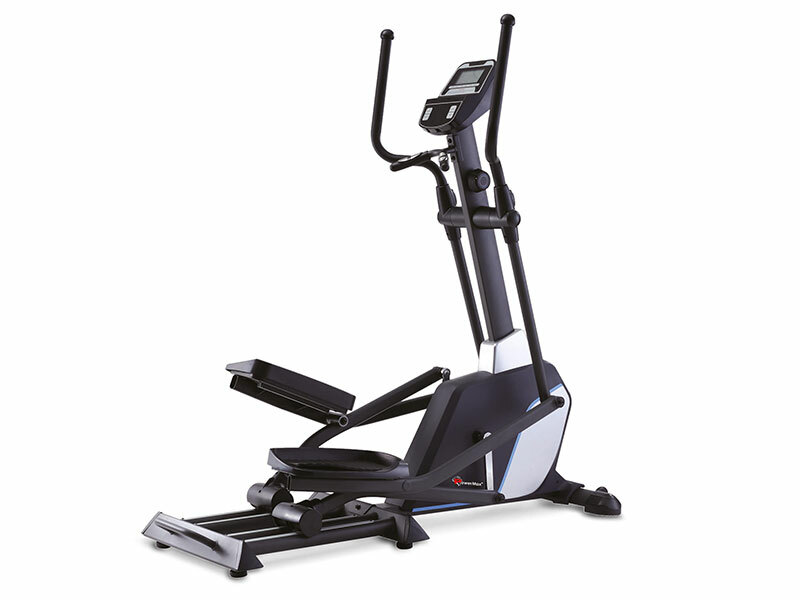 Its resistance can be adjusted with the easy to read digital LCD computer, so it's easy to get the workout you need in your schedule and your space. Comfortable and convenient, this indoor home machine also has integrated technology including built in heart rate hand pulse sensors. Powermax provides Fan-Wheel Chain driven fan resistance is quiet & smooth. The crank is made up of the arms that the pedals screw into, the spindle that joins them and they move to turn the drive and flywheel. The bike has two ways crank system. 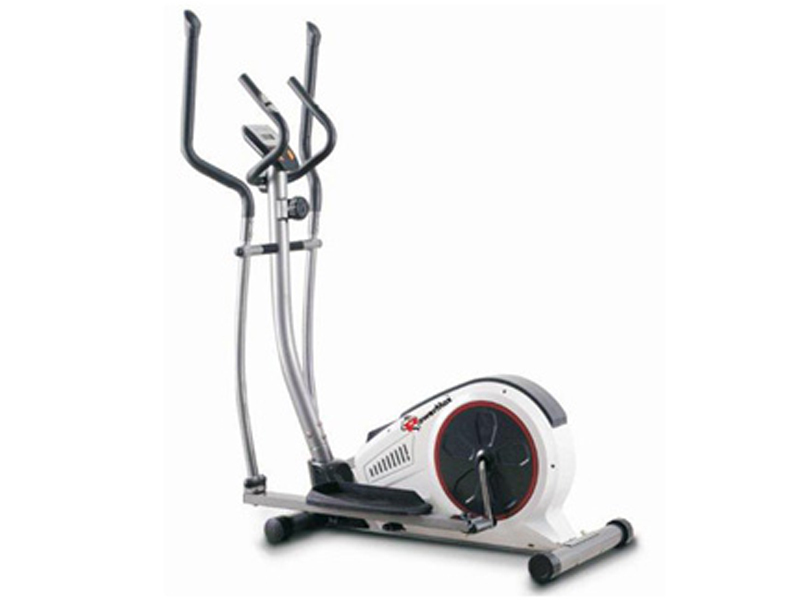 Powermax Fitness EH-220 3 in 1 Elliptical Cross Trainer Features the LCD display shows Time, Speed, Distance, scan, Calories burned and pulse. 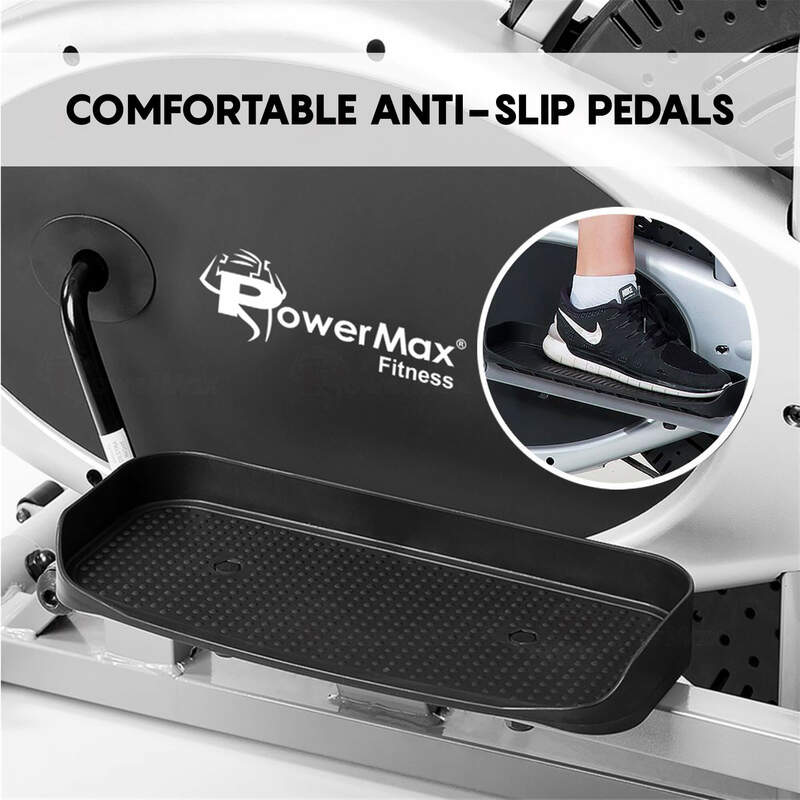 PowerMax fitness EH-220 3 in 1 Elliptical Cross Trainer adds the realistic feel is the presence of Comfortable anti-slip pedals. 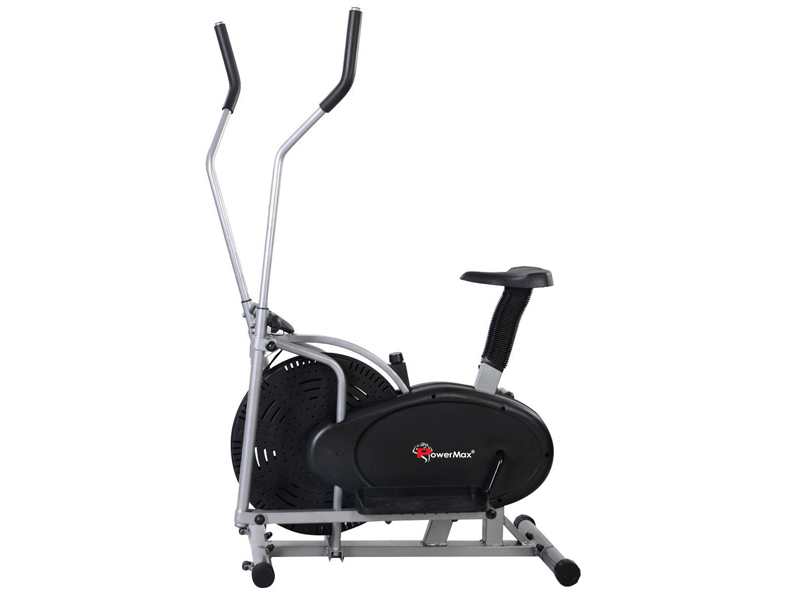 Pedals come as standard on most indoor cycles, meaning you can either securely fasten your feet on the Elliptical cross trainer. 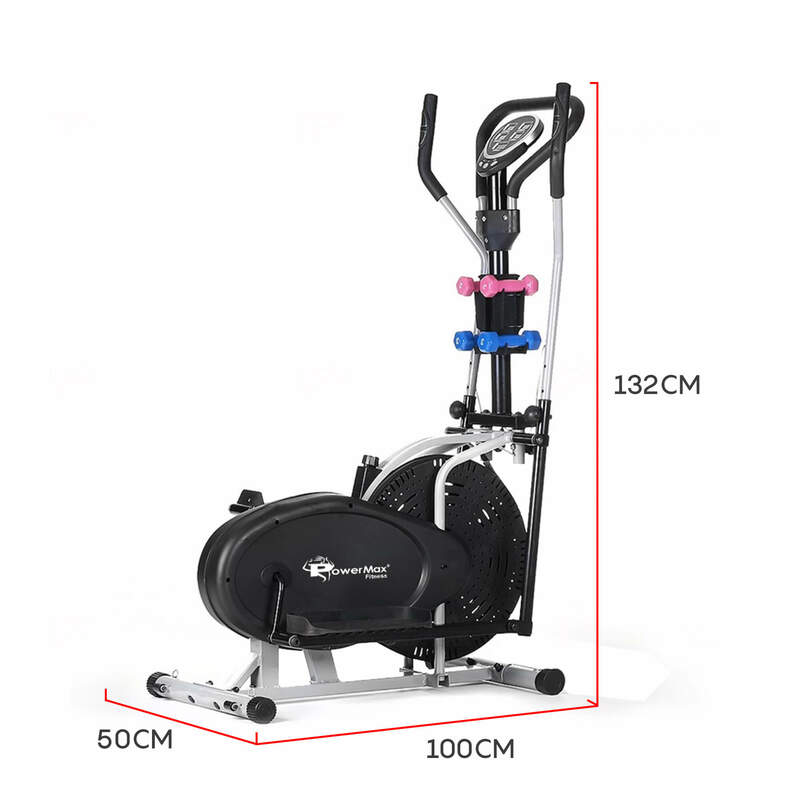 The resistance level is Micro adjustable tension control in the elliptical cross trainer for the legs, that enable you to workout according to pressure you can resist to cycle the pedals. 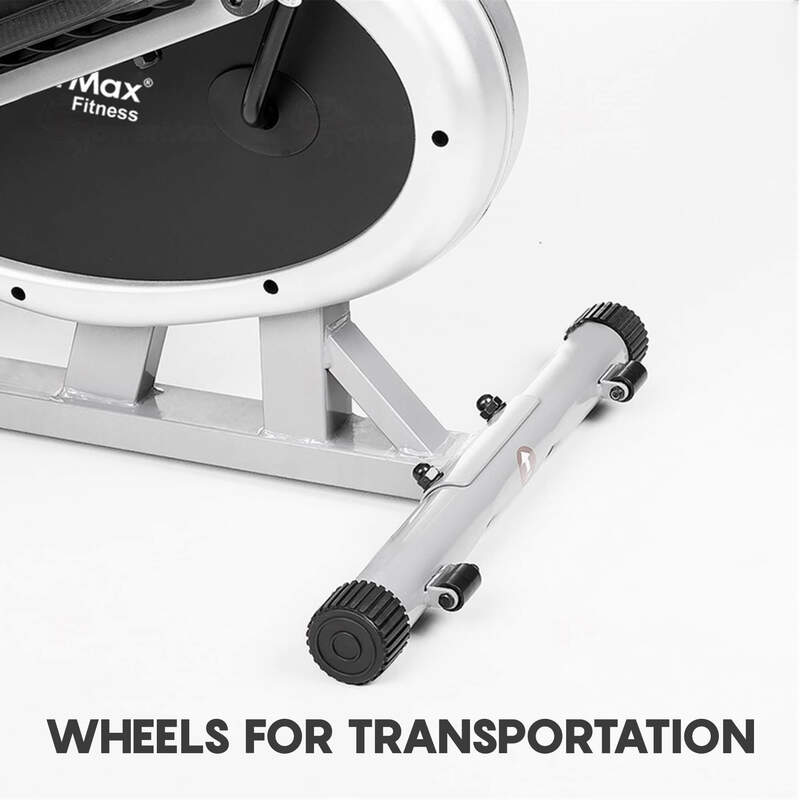 The Max Users Weight PowerMax Fitness EH-220 3 in 1 Elliptical Cross Trainer can carry is 100 kilogram. 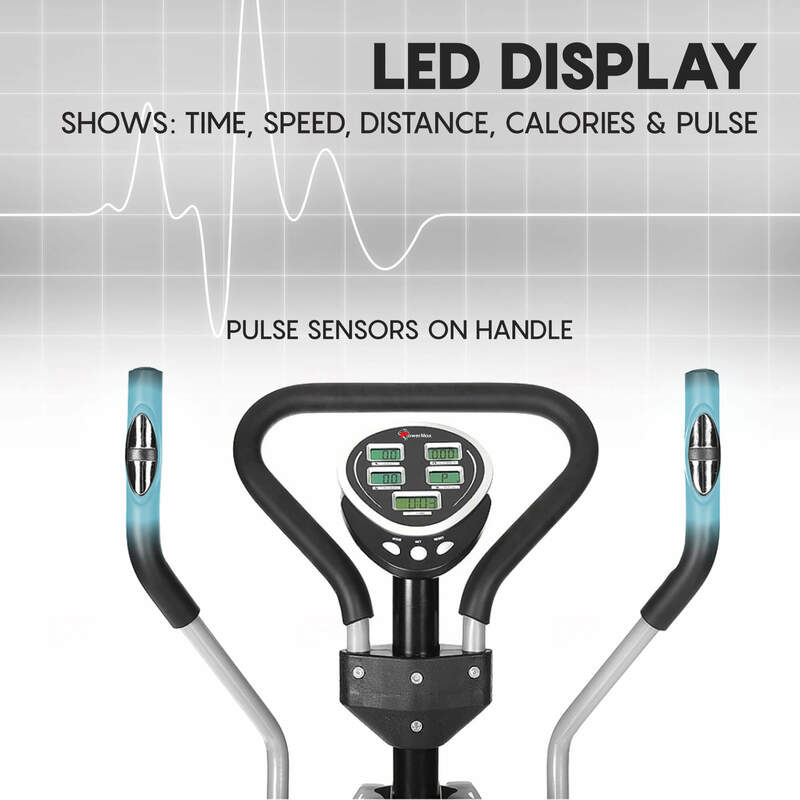 Handle bar and heart rate sensor on handle. 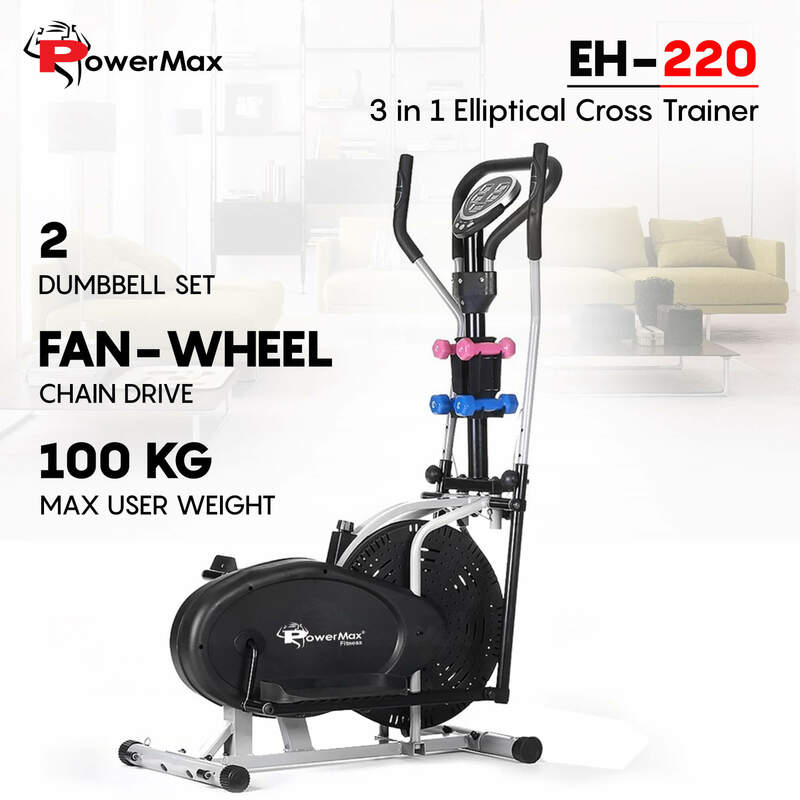 This exercise machines in one, the PowerMax fitness EH-220 3 in 1 Elliptical Cross Trainer with fully programmable, customizable magnetic resistance provides a great cardio workout, as it transforms into an elliptical, weight lifting dumbbells and cycling —with no additional hardware adjustments required. 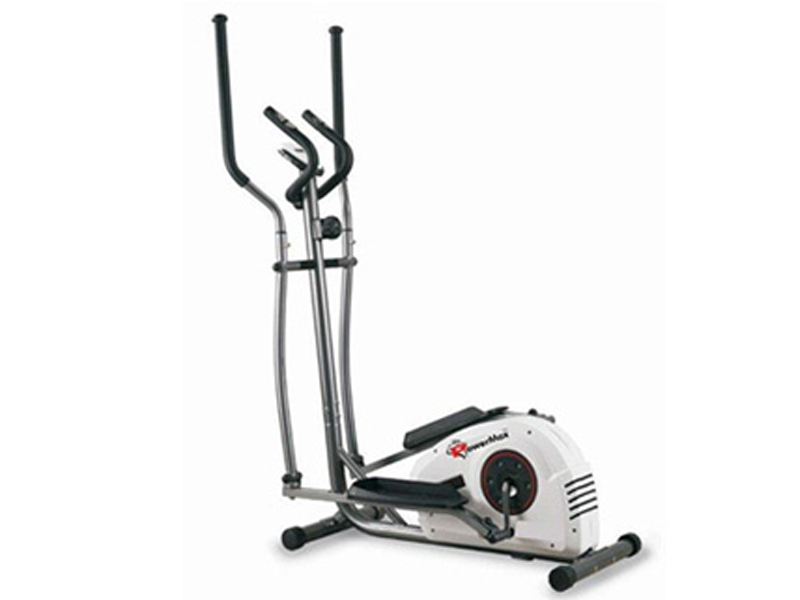 Heavy gauge steel mainframe of PowerMax fitness EH-220 3 in 1 Elliptical Cross Trainer gives 1-year limited warranty.